This product provides optimal fit and comfort while assuring proper support. 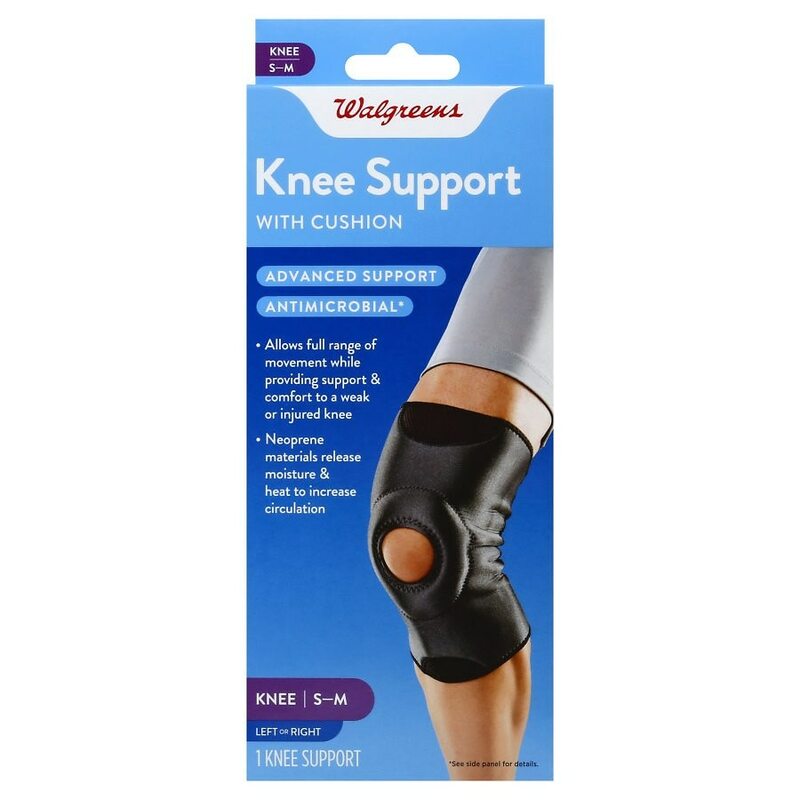 The cushion conforms to shape of knee joint for added comfort. Inside of brace is lined with cotton terry for comfort and moisture absorption. Neoprene materials provide added support, compression and heat retention, promoting healing and improving circulation. Proper fit for minimal bunching and slipping. *Antimicrobial properties are built in to inhibit growth of bacteria that may affect this product. The antimicrobial properties do not protect users or others against bacteria, viruses, germs or other disease organisms. Always clean and wash this product thoroughly before and after each use. †Walgreens pharmacist survey study, November 2014.